2018 Jeep Compass Latitude with 25k miles. 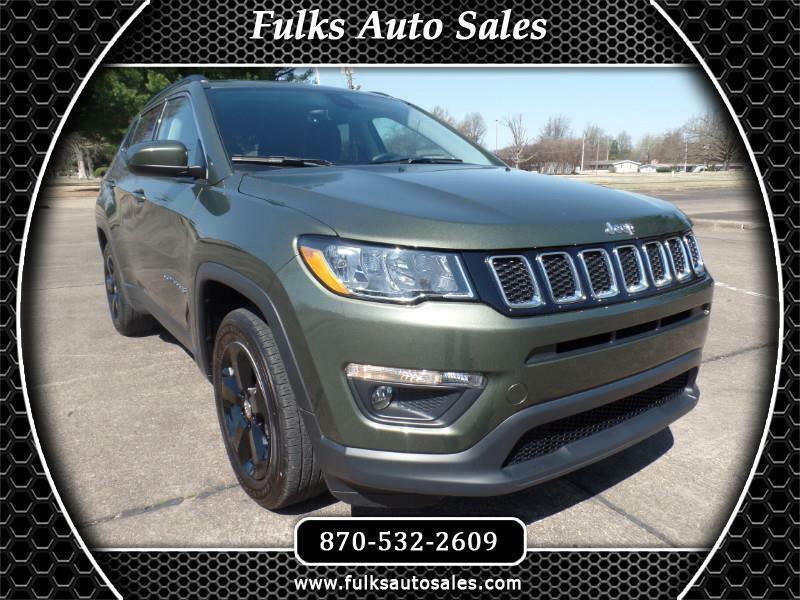 This Jeep was a program car with a clean One-Owner Car-Fax and bill of health, loaded with remote start, heated steering wheel, heated leather seats, navigation, aluminum wheels and much more. The 2018 Jeep is totally revised with a Cherokee like shape, comfortable ride and drive and up to date infotainment system. Here at Fulks Auto Sales we try to create a no hassle atmosphere, try to be honest and upfront so if you have any question's don't hesitate to call and inquire before making the drive. Absolutely no extra fee's or hidden charges when you buy a vehicle from us the price we have marked is the price you pay, we do our best to make sure these vehicles are all serviced, tires are good and safe if not new, brakes and steering are in safe, cleaned inside and out, and no history of accidents. Come out today and take a look or feel free to contact Justin at 1-888-573-1937 with any further questions and to make sure you have the most up to date pricing and information.